Find out which critically-acclaimed titles grabbed the top spots. Must play iOS and Android games debut all the time, but this week was especially good. On the iPhone and iPad front, we awarded five games 4.5 out of 5 stars, something that almost never happens. Android didn't make as much noise, but OrangePixel managed to make an impression. That said, here are the iOS and Android games of the week. 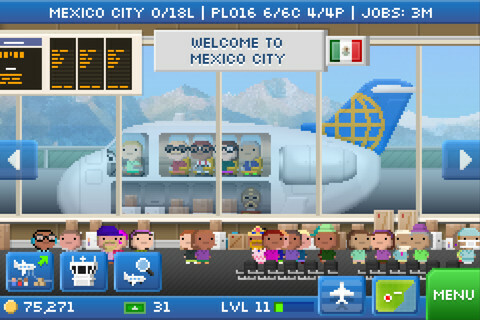 We were hopelessly addicted to NimbleBit's Tiny Tower, so it's no surprise that we fell in love with the studio's newest release, Pocket Planes. This charming title, complete with 8-bit inspired graphics, lets users manage an entire fleet of aircraft as they transport thousands of passengers to different cities around the globe. The ability to customize planes, unlock new ones and obsess over stats make this our newest guilty pleasure. Be-Rad Entertainment almost took this week's prize with an excellent puzzler inspired by the 1983 WarGames movie. In it, you play as the super intelligent computer, and must outwit foes to leave them in a nuclear heap. A plethora of tactics, characters from the film and gameplay variants makes this app the most significant match-three game since the original Puzzle Quest. 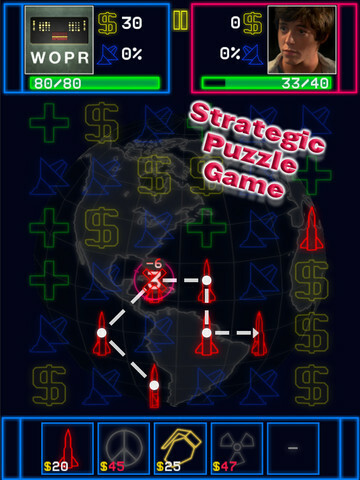 Read Modojo's WarGames: WOPR review. OrangePixel has made a name for itself with arcade-style games with retro graphics, and Chrono&Cash is no exception. This deceptively simple-looking platformer challenges you to pick up multiple pieces of loot without getting hit by a variety of enemies. A fun game with cool pixel art that shouldn't be missed.